The flanges manufacturing facilities consists of ultra modern high speed automatic shearing, open die & close die forgings, machining, latest testing and lab equipments, which give the company an inherent advantage to simultaneously meet different customer demands and optimize production. After the acquisition of the German flange manufacturing plant M/s ZappFlanschenfabrikGmbH (Est. 1874) in the year 2011, Chandan Steel Limited has dismantled all the machineries & equipments and installed the same at its facility. 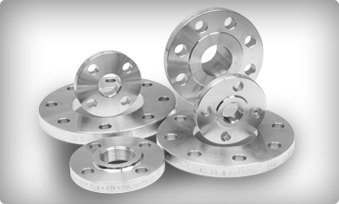 In India, thus enabling Chandan Steel Limited to become one of the leading manufacturers of high quality Stainless Steel and Duplex Steel Forged Flanges & Stub Ends in the world. This has also allowed the company to meet the growing demands of our customers continuously. For more information on grades & product sizes kindly email flanges@chandansteel.net.